If your mouth waters at the thought of indulging in chocolate – whether it’s a slightly sweet milk chocolate, a rich, buttery white chocolate or a succulent dark chocolate – why not incorporate your love of chocolate with your next vacation? The top three destinations for chocoholics also happen to be exciting places to experience art, culture, architecture, and of course, decadent chocolate! Belgium itself is teeming with delicious chocolate, being home to 12 chocolate factories and over 2,100 shops dedicated to selling that delicious chocolate. 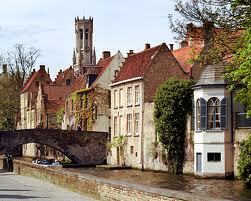 You can even tour any of 16 chocolate museums scattered across Belgium as well, all paying homage to chocolate’s decadent past. Brussels is not only the capital of this chocolate-loving country, but the epicenter for chocolate, with two renowned brands calling Brussels home: Leonidas and Godiva. Some of Brussels more delicious hot spots include the famous Musée du Cacao et du Chocolate, where visitors learn how chocolate is produced from the cacao bean, and the chocolate shop Grand Sablon, located in Brussels’ city center. Here, you’ll find your most challenging choice as a chocoholic deciding among the delicious brands of chocolate sold, including Godiva, Pierre Marcolini, Neuhaus and Leonidas. Which will become your favorite? 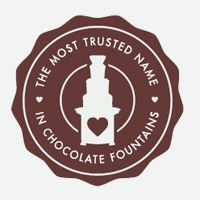 Of course, we’re biased because Sephra’s chocolate for chocolate fountains comes from Belgium too! Switzerland is a beautiful country known for soaring mountains and glittering lakes, but Switzerland is also known among chocolate lovers as producing absolutely mouth-watering chocolate treats. Perhaps this is why the Swiss consume more chocolate per person than anywhere else in the world! Zurich is the perfect place to begin your chocolate tour of Switzerland. Zurich is home to famous chocolate brands like Lindt, Sprungli and Treuscher, who have both stores and factories in Zurich. Touring the Lindt factory can even allow you to score your favorite chocolate at a steep discount from retail stores. Zurich also offers chocolate lovers a chance to board the Swiss Chocolate Train, where visitors ultimately get the chance to tour the Cailler-Nestle factory in Broc. Villajoyosa has enjoyed a long and delicious relationship with chocolate, having begun importing cacao beans from both Ecuador and Venezuela in the 18th century. Spain’s most distinguished and the oldest chocolate maker, Valor, began its chocolate-making business in 1881 in Villajoyosa. While indulging in Villajoyosa’s delicious chocolate past, visit their chocolate museum that displays the history of Villajoyosa’s chocolate affair and also shows visitors the secrets of creating local chocolate favorites. Then, sample chocolate delicacies at Valor, Mokafe, Chocolates Perez and Chocolates Clavileno and see if you can choose a favorite. Make no beans about it – these are the ultimate vacations for chocolate lovers!